Embrace Me stunned onlookers at Moonee Valley last night when coming from last to win the Group 3 Typhoon Tracy Stakes (1200m) at The Valley. It was the first Stakes success for the Danny O’Brien-trained three-year-old filly, who has now won four of her nine starts. Embrace Me was a $90,000 Melbourne Premier yearling sale buy for Blue Sky Bloodstock from the Henley Park draft. The Gai Waterhouse and Adrian Bott-trained Alassio relished a seven-day back-up to win the Group III Triscay Stakes (1200m) at Randwick on Saturday. A week after finishing third behind Champagne Cuddles in the Group II Breeders’ Classic (1200m) at Warwick Farm, Alassio ($11) fought tooth and nail to stave off Godolphin mare Manicure ($4.20 fav) by a head. Finishing a further two lengths back was the David Pfieffer-trained I Am Excited ($6.50). Bott said the good (4) track proved all the difference for the daughter of Foxwedge, after striking soft (7) conditions last Saturday. “She didn’t quite handle the going there last week but back on the firm surface she really fought out a strong finish today,” Bott said. “She was in for the fight, so it was really pleasing to see her win. It was a real test for her, we wanted to see her win before planning the rest of her preparation. The result marked jockey Tim Clark’s third success in the mares’ feature, following wins aboard Faraway Town (2018) and Hot Danish (2008). “She was rock hard fit today and I was really proud of how she dug in for me,” Clark said. Unite And Conquer was an $80,000 yearling purchase for Blue Sky Bloodstock with Gai Waterhouse and Adrian Bott for syndicators BlueBloods Thoroughbreds at the 2018 Magic Millions Premier Yearling Sale. GAI Waterhouse and Adrian Bott have repelled the international raiders, contriving a memorable Geelong Cup quinella as the Melbourne Cup aspirations of Withhold crumbled. The Waterhouse-Bott training partnership led in locally-owned Runaway ($16) and Northwest Passage ($9.50) with Chris Waller’s import Finche $(4.80) third. The disappointment of the race was Withhold, who bled from both nostrils, and is now automatically banned from racing for three months. Roger Charlton’s powerful stayer also pulled up lame in a foreleg in a miserable debut for the British camp. Sent out a $3.20 favourite, Withhold faded from second in the run to finish eighth. Runaway currently sits at No 49 in the Melbourne Cup order of entry and will need a significant penalty from Racing Victoria’s Greg Carpenter to climb into the 24-horse field. With only 50.5kg, Runaway would probably need to win the Hotham Handicap on VRC Derby day to gatecrash the Cup. Jockey Stephen Baster, who delivered a sublimer front-running effort, challenged Carpenter to chime in with a hefty re-handicap. “He’s got to get a penalty, come on Greg,” he laughed. Based on previous year’s results, connections can probably expect no more than a 1kg penalty. Waterhouse said she would monitor both Runaway and Northwest Passage over the next 24 hours before making plans. “I’m not the handicapper. I’d imagine he (Runaway) would get a penalty today and that always helps,” Waterhouse said. “But they’re two very exciting stayers. This has proven over the years to be a great lead-up to the Melbourne Cup and they’re peaking at the right time. Stephen Baster celebrates after winning the Geelong Cup on Runaway. The winner was bred just outside Geelong at Rosemont Stud. Runaway was a $150,000 yearling purchase for Gai Waterhouse and Julian Blaxland at the 2016 Inglis Easter Yearling Sale from Rosemont Stud. A successful Melbourne spring carnival for Gold Coast trainer Toby Edmonds has continued with From Within bringing her Queensland form to Caulfield. From Within was coming off three straight wins in Queensland and was able to dominate Saturday's Alinghi Stakes (1100m) from the front under jockey Kerrin McEvoy. Sent out the $4.60 equal favourite, From Within defeated Working From Home ($19) by 1-1/4-lengths with Soothing ($4.60) a head away third. From Within's Listed race victory comes on the back of stablemate Winter Bride winning two recent Group Three races for mares at Caulfield. "She's a credit to herself," Edmonds said. "I'm really excited. I'm a bit emotional because it was a big call to bring her down this week and thanks to the guys who let me do it. "She's had a bit of hype on her so to come out of class three grade and win that race, it's a great effort." From Within was a $360,000 yearling purchase by Blue Sky Bloodstock’s Julian Blaxland for owners Emmanuel Bloodstock & Raffles Racing at the 2016 Magic Millions Premier Yearling Sale from Yarraman Park Stud. Punters will be talking about the three-year-old beaten favourites from Rosehill on Saturday, but that would underplay the awesome return of Lean Mean Machine in the Run To The Rose. Runner-up Graff was favourite for the group 2 Run To The Rose and remains so for the group 1 Golden Rose after a torrid, wide run throughout, while The Autumn Sun lost his unbeaten record but no admirers in his checked passage for third in the group 2 Stan Fox Stakes. But underestimate Lean Mean Machine at your peril after he sizzled home in the Run To The Rose. The Zoustar colt, which started at $14 and landed some nice bets, cut through the centre of the field to win with something in hand from Graff ($3), while leader Jonker ($13) held on for third. was vindicated in grand fashion. He gave up six lengths start at the 300m mark and didn’t use the whip to hit the front in the last 50m. Angland was pulling Lean Mean Machine up on the line and won by three-quarters of length. “That was dominant,” Angland said. “The best thing about him is his attitude. Nothing fazes him. “He improved the way I thought he would and there is more there yet. “I didn’t do any work from the gate. It really got sticky on the point of the corner – I was going that good I was nearly running up their backsides and I had get him out. Waller was measured in his praise of the winner, with an eye to stablemates Zousain and Performer, which struggled on the wet track. “He’s obviously a very good horse and, as we saw with his dad Zoustar, he came back as a three-year-old and went to a whole new level, and it looks like this boy has done the same,” he said. Lean Mean Machine is in from $26 to $7 for the Golden Rose but Graff remains the Beteasy favourite at $5 after his tough effort. “The draw was the difference there. He has a draw, he gets a softer run, but unfortunately the cards were dealt when it came out,” Collett said. James McDonald said Zousain was “hopeless in the shifty ground”, as did Hugh Bowman on Performer, which made up the Waller team. But the best chance from the Waller yard in the Golden Rose might be JJ Atkins winner The Autumn Sun, which was checked in the straight in the Stan Fox Stakes (1500m) and still kept coming to run third to Takra. The Waller-trained colt is still a $7 chance for the Golden Rose, and the trainer was very happy with him. “He was very unlucky. It won’t detract from where we are heading,” Waller said. “He showed would have won the race if things went his way. "It makes the race very interesting." Lean Mean Machine was a $250,000 yearling purchase by Blue Sky Bloodstock, Aquis Farm and Raffles Racing from the 2017 Magic Millions sales from the draft of Glenlogan Park Stud. Outstanding Zoustar filly Sunlight was back to her brilliant best at Caulfield on Saturday, leading throughout to win the Group III MRC Thoroughbred Club Stakes as she pleased. Prepared by Tony McEvoy, Sunlight won the Group III MRC Quezette Stakes in August before having an eight week let up and was tuned up for her return with a recent trial win in Adelaide. Drawn near the outside, she jumped fast, quickly took up the lead for Luke Currie and was never really challenged in coasting home to win the 1200 metre sprint by a length and a quarter. Group I goals are now on the horizon for Sunlight, who took her record to an impressive seven wins from 10 starts with prizemoney topping $2.3 million. 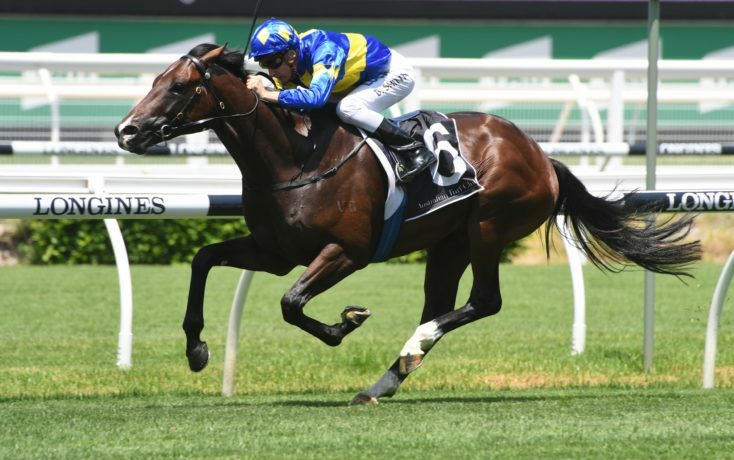 "I'm thinking the Manikato (G1 Stakes) with her, 51 kilograms around Moonee Valley, she'll take some catching and a lot of the horses that are going to be in that race will be running around on a heavy track up in Sydney today," Tony McEvoy said. A $300,000 Magic Millions purchase for Aquis/McEvoy Mitchell Racing/Blue Sky Bloodstock from the Widden Stud draft, Sunlight was bred in partnership by Widden Stud and runs for an all women's syndicate that includes Aquis Farm's Mrs Fung and Widden Stud's Katie Thompson. Solar Charged has a two year-old full sister to Sunlight called Sisstar, who was knocked down to McEvoy Mitchell Racing/David Redvers Bloodstock for $600,000 at the 2017 Magic Millions Gold Coast Yearling Sale. Solar Charged has a yearling Sebring colt and will foal again this spring to Widden Stud's outstanding young sire Zoustar, who stands this spring at a fee of $60,500. At Flemington in Melbourne, Yarraman Park's ill-fated Gr3-winning & 4-time Gr1-placed stallion Hinchinbrook (Fastnet Rock-Snippets' Lass, by Snippets) added a Listed race success when 2YO Australian-bred colt Unite And Conquer (Hinchinbrook-Maglissa, by Magnus) signalled a bright future awaits when leading throughout for a sizzling debut win in the $120,000 Listed Maribyrnong Trial Stakes (1000m) for 2YOs, defeating Sun City & Grand Scholar. An $80,000 purchase by his trainers Gai Waterhouse & Adrian Bott and Blue Sky Bloodstock for syndicator Blue Blood Thoroughbreds at the 2018 Magic Millions Gold Coast Yearling Sale from the draft of Musk Creek Farm, Unite And Conquer improved his record to 1 win from 1 start for $73,200 in earnings. Waterhouse said Unite And Conquer will now head to the Gr3 Maribyrnong Plate on 8 November. “He showed himself a lovely big strong type that would be well-placed down the straight and that will have him ready for the Maribyrnong Plate,” Waterhouse told Sky Racing. If you didn't know better, you'd swear Sandown knew Wednesday was not your typical winter mid-week program. The sun shone and the biting, cold wind that often makes life uncomfortable at those meetings was pleasingly absent. That was fitting, because there was a greater degree of star factor, or potential star factor at least, than there is normally present at Victorian racing's metropolitan workhorse at this time of year. Two that many were interested in seeing were Our Regal Warrior and Alfa Oro, who both headed straight to town off the back of dominant synthetic track maiden wins. Matt Cumani's Our Regal Warrior was coming off a jaw-dropping Geelong success, when he won by seven lengths despite jockey Dean Holland easing up from the furlong, while Alfa Oro spanked his rivals by six lengths on debut at Pakenham. Neither replicated their maiden wins, but that's not to suggest the races they were in didn't produce horses capable of making an impression in better races during spring. Tony McEvoy mentioned the Group 1 Toorak Handicap (1600m), at Caulfield on October 13, as a potential spring target for Illumicon. The Nicconi gelding shared the lead with Our Regal Warrior in the 1000-metre Ladbrokes Multiverse 3YO BM64 Handicap (1000m), had him beaten early in the straight and surged away for a one-length win that was just what his trainer wanted to see. "A horse of his class, coming here on a Wednesday in July, he should be winning," McEvoy said of the gelding whose previous start was in the G2 Autumn Stakes (1400m). "He got that job done and he'll take great benefit out of that. It'll be good for his head and I'm looking forward to the next couple of months. "I've got to work out how far he'll run. I think he'll love a mile, he could get to a Toorak Handicap, one of those style of races. I think he's a Group horse, I really do." Our Regal Warrior - the easy $3 favourite - staggered home in 12th position, 5.5 lengths from Illumicon, who started $9.50. 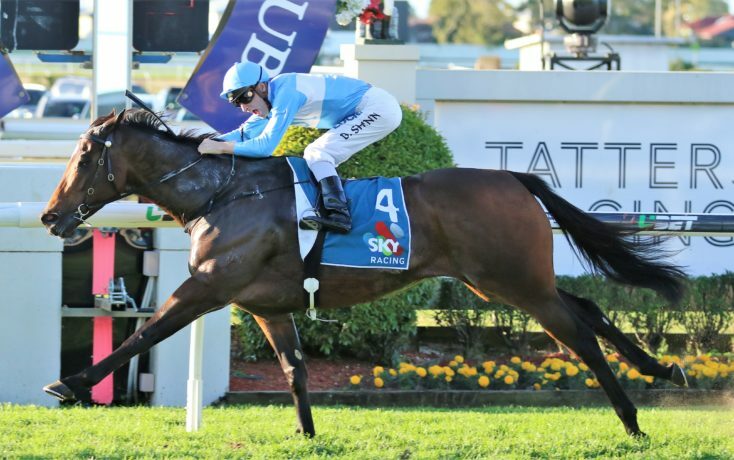 It’s somewhat fitting that the final Group One race of the 2017/18 season – Saturday’s $500,000 Sky Racing Tatt’s Tiara over 1350m at Doomben – should also be one of the strongest. Among the 16 mares lining up for the Tiara were Super Cash and Champagne Cuddles, second and third respectively in the Stradbroke two weeks earlier, Miss Wilson, Invincibella and Savanna Amour – stakes winners at their most recent outings – plus March’s Group One Coolmore Classic victor Daysee Doom. However, it would be the Gai Waterhouse/Adrian Bott trained Prompt Response who would be sent out favourite for the race at $4.20. And deservedly so. The 4YO mare is a three time Group Two winner – the Emancipation, Breeders Classic and Dane Ripper – along with the Listed Twilight Glow in Melbourne, but had twice been edged out at Group One level, including a neck second to Tycoon Tara in last year’s Tiara. Prompt Response wasn’t to be denied this time around though, opening up a break with 250m to go and holding on strongly to win with over a length to spare. The victory took Prompt Response’s tally to six wins and 11 placings from 27 starts for $1,481,350 in stakes. Indeed, only one of her outings – her maiden win in April 2016 – wasn’t at black type level. The stage now appears to be set for Prompt Reponse to campaign for the $13 million The Everest in October. The Tiara win also continues a remarkable season for Julian Blaxland’s Blue Sky Bloodstock, whose success stories in 2018, apart from Prompt Response, include Group Two Sires’ Produce Stakes winner Lean Mean Machine and dual Doomben stakes winner Whypeeo - while Magic Millions 2YO Classic/Silver Slipper winner and Golden Slipper third, Sunlight, is likewise a Blue Sky yearling buy (purchased for $300,000 with Tony McEvoy on behalf of Aquis Farm). “It’s been a terrific season for our 2YOs – 13 individual winners so far which equals last year’s benchmark – but Prompt Response’s Tiara is really special,” Blaxland points out. “Ron Hamer, who bred Prompt Response, was my very first client when Blue Sky started back in 2006 and I ended up buying Prompt Response’s dam, Prompt, for $45,000 on Ron’s behalf at the 2011 Magic Millions National Broodmare Sale. “Her first foal for Ron was a Statue of Liberty that raced in Hong Kong and won six races, while her second, Prompt Return, was a colt by Beneteau and the full brother to Prompt Response. “Blue Sky was a part-owner of (2YO Group winner) Beneteau, as was Ron, and he’d actually purchased Prompt to send to the stallion. Unfortunately, Beneteau only stood the two seasons, but his two matings with Prompt produced a (Group Three) Maribyrnong Plate winner (Prompt Return) and now a Group One winner. “Prompt was later sold privately to Newgate Farm, but full marks to Ron who has bred from just two mares. He was also a part-owner of, and raced, Diana’s Secret, which, like Sunlight, we also bought as a yearling from Widden Stud. Diana’s Secret would go to produce 5-time Group One winner, Dissident, which Ron had kept a 10% share in after the horse was sold to Peter Moody for $210,000 at the Gold Coast Magic Millions. “Incredible … from two mares he’s bred and raced a Horse of the Year in Dissident and a Group One winner in Prompt Response. Prompt, meanwhile, had a yearling colt by Dissident sell to George Moore Bloodstock for $525,000 at the 2018 Gold Coast Magic Millions Yearling Sale and is currently in foal to Capitalist. Blue Sky Bloodstock purchased runners have continued their stellar season, with no fewer than three Stakes-winners and another three Stakes-placings in April, including an exciting Stakes-winner at Woodbine (CAN) who won convincingly, only to lose the race on protest. Congratulations to all connections! It has been a busy few weeks for the Blue Sky team with the culmination of the Inglis Easter sales set amongst three weeks of great racing at Randwick, including 'The Championships'. 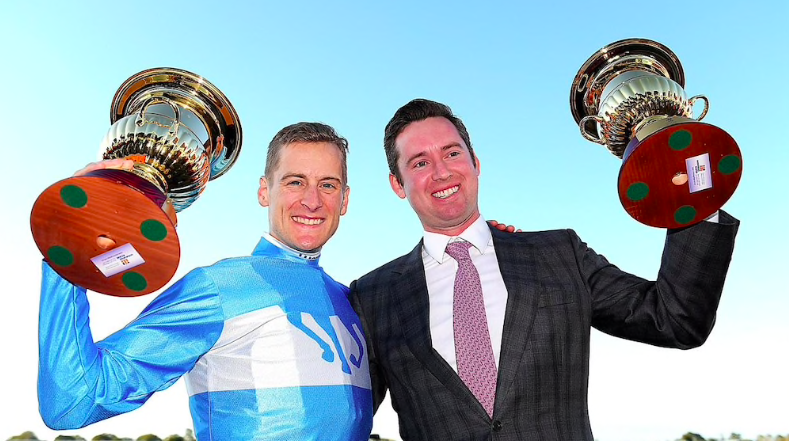 Blue Sky continued their role as resident bloodstock agency for Gai Waterhouse and Adrian Bott this year and have been particularly active at all major yearling sales in 2018. Julian believes it is the most exciting spread of yearlings that the stable has invested in and early reports from the breakers at Evergreen Farm have been very positive. Julian commented, "I am extremely proud of the of the group of babies we have purchased on behalf of Gai and Adrian and their clients will be very excited about what's on offer. There is a price point for everyone, different types to suit different races, including a number of all ladies syndicates. The way the stable is consistently producing winners and stakes horses at present across all states, I'm very excited about what the next 12 months has in store." In total, Blue Sky were responsible for the selections and purchase of 108 yearlings between GWABR and private clients. Here is a breakdown of the 38 Sires whose progeny were selected across all sales, purchases ranged from $35k to $1.2M. Blue Sky Bloodstock are delighted that it's been their long serving clients who have been the main benefactors of this hot-streak of Stake successes – and long may it continue given their steadfast support. 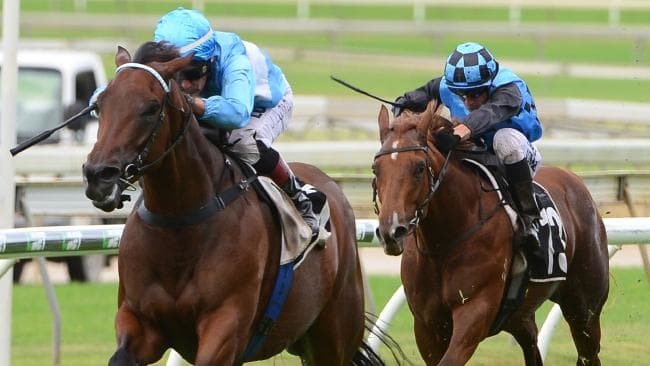 Prompt Return (Beneteau) – Looking to go back to back in the Bat Out of Hell over 900m. PROMPT RETURN, (a $60,000 MM Premier Sale purchase), was reinvigorated over the shorter courses since moving to Queensland after winning the Group 3 Maribyrnong Plate as a juvenile. He'll be joined by full sister PROMPT RESPONSE in Qld with Gai Waterhouse and Adrian Bott for the Group 2 Dane Ripper and Group 1 Tatts Tiara Stakes deeper into the Brisbane Winter Carnival. The mare enjoyed a stellar Sydney Autumn, winning the Group 2 Breeders Stakes, Group 2 Emancipation Stakes and looked the winner in the Group 1 Coolmore Legacy until caught late by star filly Alizee to finish yet another 2nd at Group 1 level. Blue Sky 2yo's have enjoyed a particularly strong year, the obvious highlight being Magic Millions Classic and Group 2 Silver Slipper winner SUNLIGHT (MM Premier 2017 purchase by Zoustar/Solar Charged) leading a group of no less than 9 individual juvenile winners of some 15 races in 2017/18 to date. The team hope to bring up double figures this week with an eye to USMANOV (MM Premier 2017 purchase by Choisir/Mining Tycoon) at Toowoomba for Toby Edmonds and EMBRACE ME (Melbourne Premier purchase by Shamexpress/Party Royal). Our focus will then shift to the Magic Millions Broodmare Sale on the Gold Coast where we will be offering our first select draft in the Blue Sky Premium Consignment. Limited to Stakes fillies off-the-track, the inaugural draft includes the likes of Group 2 Placed My True Love, Group 1 placed Joyfilly Ours and million-dollar earner, Group 3 winner Madotti . These fillies will be marketed strongly to the domestic and international buying bench and we are excited about driving strong returns for our clients. Whypeeo defied wet tracks fears to stamp himself a genuine Brisbane winter carnival contender with a dominant win in the Listed Mick Dittman Plate at Doomben on Saturday. Whypeeo, ridden by premier jockey Jeff Lloyd, led all the way to down Meikas by four lengths with Godolphin’s Marble in third place, a further three-quarters of a length away. Winning trainer Toby Edmonds admitted his biggest fear with Whypeeo was how the three-year-old would handle a heavy track after it was downgraded from a slow 7 following early showers during the meeting. Prior to claiming his second Listed race win, Whypeeo had never raced on a rain-affected track with all four previous wins in eight starts coming on dry surfaces. Whypeeo will now chase bigger winter riches and will likely have his next start in the Group 3 Gold Coast Guineas (1200m) on May 5. Whypeeo was having his first start since a fading fourth in the Magic Millions Guineas at the Gold Coast in January but was primed for a first-up win following an easy barrier trial win on his home track. Edmonds admitted he was relieved with how Whypeeo coped with the conditions. “It’s a big relief as I wasn’t sure how he’d handle the wet as I rate him better on top of the ground,” Edmonds said. In what may well have been a preview of the Golden Slipper, the top-class fillies Sunlight and Estijaab staged a two-horse war in Saturday's $250,000 Group II Silver Slipper Stakes at Rosehill Gardens. On the line it was the Zoustar filly Sunlight who made it four wins on the trot when finishing the best to edge a game Estijaab (Snitzel) by a neck with Gongs (Dawn Approach) six and three-quarter lengths back in third. (photo Magic Millions - Lisa Grimm). Meanwhile, Tim Clark was smoking his pipe in third place on Sunlight. "That was incredible wasn't it," McEvoy's assistant trainer, son Calvin said. "I think we learned something new about her today when those other two (Estijaab and Neutrality) decided to go out in front. "Tim just asked her to come back and she did, she just raced like a true professional. "She's going to have another run into the Slipper but she's such a good doing filly and that was all class there. "She was forward enough, we knew she would run well but we know there's further improvement. "If she comes through this well she'll run in the Magic Night, a week out from the Slipper. "Follow the same path we did into the Magic Millions, she's effective of the seven-day back-up and see how we go." A $300,000 Magic Millions purchase from the Widden Stud draft for Aquis/McEvoy Mitchell Racing/Blue Sky Bloodstock, Sunlight advances her overall record to 4 wins and 1 third from 5 starts with earnings of $1,441,450. The thoroughly game Prompt Response rounded out last season with a second to Tycoon Tara in the Group 1 Tatt's Tiara at Doomben and she will be on the chase for a win at the highest level this autumn following an impressive return to racing in Saturday's Group II Breeders' Classic (1200m) at Warwick Farm. Fourth in the Group 1 Myer Stakes at Flemington and fourth in the Group II Matriarch Stakes on the same track at the Melbourne Spring Carnival, Prompt Response earned a third stakes win in the Breeders' Classic advancing her record to 4 wins and 8 seconds from 21 starts with earnings of $806,650. "She's been so consistent throughout her career so very thankful to see her do that today, more so for the owners because they've been very patient with her," Bott said. "But today she's come back with an explosive win and put the writing on the wall of what's to come this preparation. "It was a very strong run race so the way the race panned out played into her hands – she was able to get a lovely cart into the race." Bott said Prompt Response would be aimed races like the Coolmore Classic (1500m) and Queen Of The Turf Stakes (1600m) this autumn. A sister to 2014 Group III VRC Maribyrnong Plate winner Prompt Return, Prompt Response is the fourth foal of the Exceed And Excel mare Prompt whose first two foals are the stakes-placed Diamond Glow (Bel Esprit) and the Hong Kong winner Mr Right (Statue Of Liberty). Though she failed to place in three starts, Prompt is a daughter of the Desert Sun mare Amnesia a 5-time winner who placed in nine stakes races. After slipping in 2014 and 2015, Prompt has a yearling colt by Horse Of The Year Dissident that was purchased by George Moore Bloodstock for $525,000 out of the Newgate Farm draft at the recent Magic Millions Gold Coast Sale. Prompt has a colt foal by Medaglia D'Oro (USA) and was bred back to Capitalist at Newgate Farm last spring. Enjoyng her first win fresh from six attempts, the Beneteau four-year-old was too strong for her seven rivals in this year’s Group 2 $200,000 Breeders Classic (1200m). Last seen finishing off her spring in Melbourne with back-to-back Flemington fourths on successive Saturdays during the Cup Carnival, Prompt Response made her autumn return after two Randwick trials. She was given a gun ride by jockey Blake Shinn from the good gate two draw, getting a beautiful run in third stalking the front-runners Memes and Bonny O’Reilly. Approaching the turn, rival hoop Jason Collett was on the move aboard race favourite Egyptian Symbol who started to loop the field looking to go one better than her second in the same race at Randwick 12 months ago. With 200m left to travel Prompt Response hit the lead and despite giving the fitness edge away, held off the beaten Bjorn Baker-trained favourite Egyptian Symbol, who loomed but was never getting near the impressive winner, by one and a half lengths. In third rounding out the Breeders Classic trifecta was the Kris Lees-trained Dane Shadow six-year-old Danish Twist who powered home late from the back in her first run of the autumn. “It’s a great way to reward the mare, she’s been so consistent over her career,” co-trainer Bott said post-win. “There’s been a few frustrating runs of placings but today she’s come back with an explosive win. “We’ve got a nice Group 1 preparation planned. 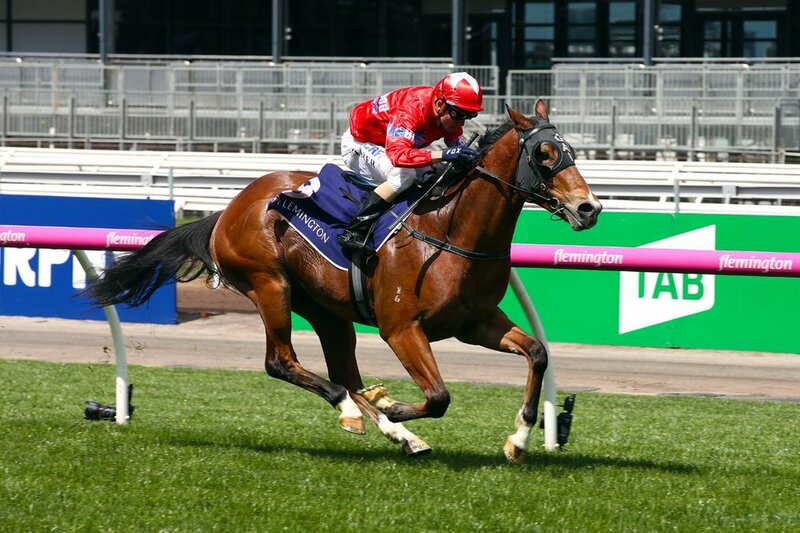 The Group 1 $600,000 Coolmore Classic (1500m) runs at Rosehill Gardens on March 17, while the Group 1 $1 million Queen Of The Turf Stakes (1600m) takes place over the Royal Randwick mile on April 14 as part of ‘The Championships’ Day 2. A special congratulations to loyal Blue Sky Bloodstock owners Mark Sowerby and Ron Hamer on the exciting victory of their mare. Tony McEvoy has decided to give his star filly Sunlight two runs going into the Group 1 Golden Slipper Stakes. McEvoy had originally planned to give the $6 Golden Slipper favourite just the one run into that race after her easy win in the Magic Millions Classic. “I think she needs two runs into the Slipper even with what she’s done so far,” McEvoy said. 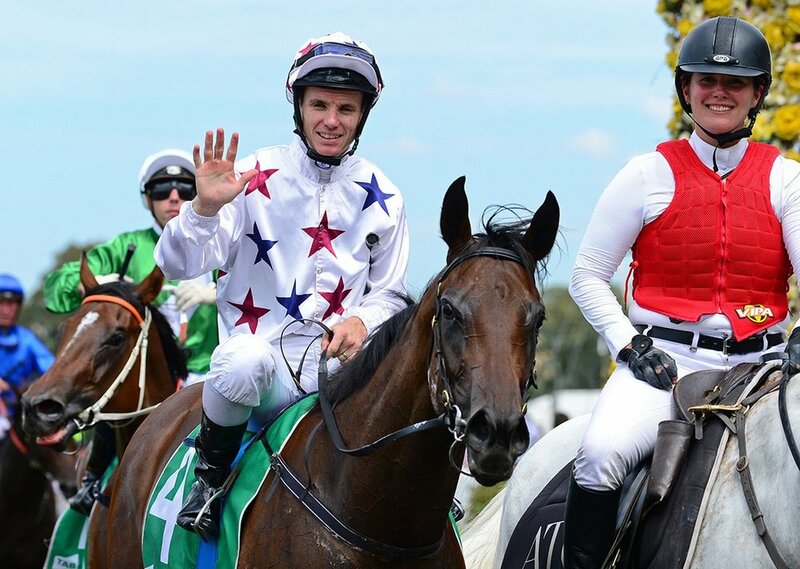 McEvoy said Sunlight would run in the Silver Slipper Stakes (1100m) on February 24 and then the Magic Night Stakes (1200m) the week before the Golden Slipper Stakes on March 25 with all races at Rosehill. He said she had spent a couple of weeks at their farm at Murbko on the Murray River where she was knee deep in lucerne. McEvoy said Sunlight was now back in work at his training property at Angaston where “she looked super”.